Quality 1st Basement Systems will unveil their new headquarters on Tuesday, December 17th, in Aberdeen, NJ with a ribbon cutting ceremony. Tomorrow, December 17th, 2013, Quality 1st Basement Systems will unveil their new headquarters in Aberdeen, NJ with a ribbon cutting ceremony at 11:30am. Owner Tom Roman will be on hand to officially unveil the 10,000 sq ft space which over 100 employees will now call home. “We are so excited to unveil our new location to the public,” said Roman, adding that various local news outlets would be on hand to cover the event. The office features a fully enclosed concrete plant and warehouse, as well as a cafeteria and gym for the employees to enjoy. Construction on the Aberdeen location first began in 2012 and more than 35 crew members assisted in the building process. Several local companies, such as Storm Master in Cherry Hill and Statewide Mechanical in Rahway, provided their expertise and manpower as well. Quality 1st is now located at 359 Route 35 South, Aberdeen Township, NJ, 07721. 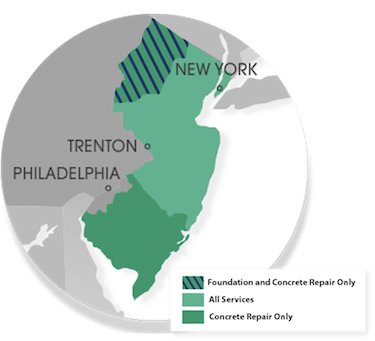 Quality 1st Basement Systems is a locally owned and operated foundation repair and basement waterproofing company serving the entire state of New Jersey. They are a member of the Better Business Bureau and the NJ National Association of Certified Home Inspectors.